If you want to short VXXB the simplest way is to buy SVXY. This Exchange Traded Funds tracks -0.5X the daily percentage moves of VXX so it isn’t a true short, but it has the same goal—going up when VXX goes down. They carry annual investment fees (SVXY’s is 0.95%), which I doubt is an issue for you if you’re thinking of shorting VXXB. Buying an inverse fund does not require you have a margin account (which is required to short any securities), so you can make this trade in ordinary cash accounts or IRAs. For more on SVXY see here. If you want to sell VXXB short directly you need at least three things: a broker that has shares of VXXB available to short, a margin account, and assets (cash, securities) that you can deposit in your margin account. Availability to short VXXB might be a common problem—I know it is with my Schwab account. In spite of VXXB’s high volumes, which average in the 40 million per day range, Schwab almost always shows VXXB as “HTB”—Hard To Borrow. The fine print on Schwab’s HTB suggests that if you want to pay some extra money they should be able to obtain some stock to short. 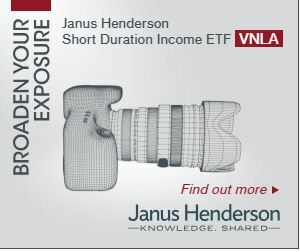 The Short Squeeze.com site shows VXXB’s current short interest. My guess is that a little shopping around would yield a broker that would be happy to facilitate your short sale. In a regular cash account setting up a margin account usually just involves a small amount of paperwork. You typically don’t incur any additional fees or interest unless you create margin debt (e.g., borrow money to buy some stock). If you are shorting a stock or an ETN the initial transaction deposits money into your margin account. You’ve sold a security; the fact that you didn’t own it in the first place is just a detail. However you don’t earn (or pay) interest on that money, and if the security goes ex-dividend while you are still short on it, you are on the hook for the dividend (VXXB doesn’t have a dividend). Any margin account will require some assets be present in the account to serve as margin. The initial amount of margin you need to put up for a short sale varies with the security, so you will need to investigate further, but if it is 50%, a typical number, you will need to have assets worth at least 50% of your initial short sale deposited in your margin account before you can do the sale. If your trade goes significantly against you and your asset to short position ratio drops below a certain threshold—typically 30%, you will get a margin call. At this point, you will either need to put up more assets or liquidate enough of your position to bring your asset to debt value back into line. This is not fun. If you want to sell short in an IRA you are out of luck—IRS rules prohibit that. Your only option is inverse Exchange Traded Products like EXIV, SVXY, and ZIV. If you’d like more information, including risk assessment strategies, see “Is Shorting VXXB the Perfect Trade“. If you are interested in other ways of going short on the VIX index this post has more information. How Does VXXB’s Daily Roll Work?